Happy Wednesday everyone, today we have a short episode for you explaining the new name in ‘Energetic Radio’ and what this means, as well as giving away by far the best game/activity we have created this year in Gratitude Monopoly. We are on a mission to help people bring, fun, joy, happiness and play in each and every day. This means that our name has changed a little bit, but the podcast will still have the same primary focus each week. With a bunch of world-leading experts in different fields scheduled as guest’s, it is an inspiring time. Today we have also made our top rating game available for free. 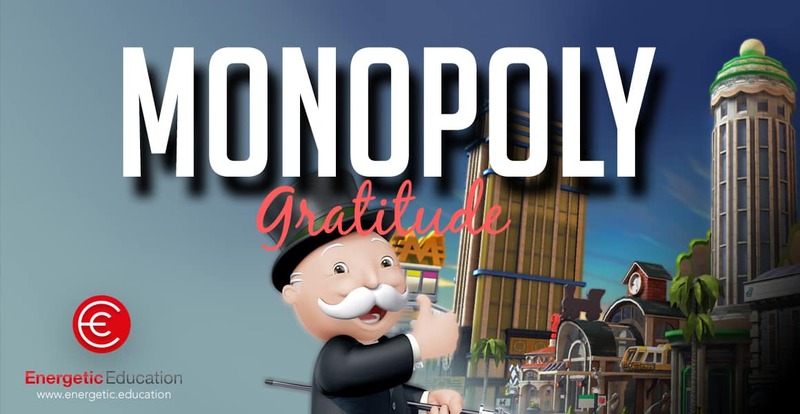 In the workshops and conferences that we run worldwide our new game in Gratitude Monopoly has received incredible reviews, and we have created this for you to take home and start using for free. Simply click on our blog HERE and watch an explanation video and instructions on how to play the game. This game has been compelling, and we want students, teachers, adults and workplaces using this all over the globe. So please help us by sharing the episode and spreading the love. If you have any feedback, please comment below in the comment box as we would love to hear from you. Have a beautiful day from The Team.